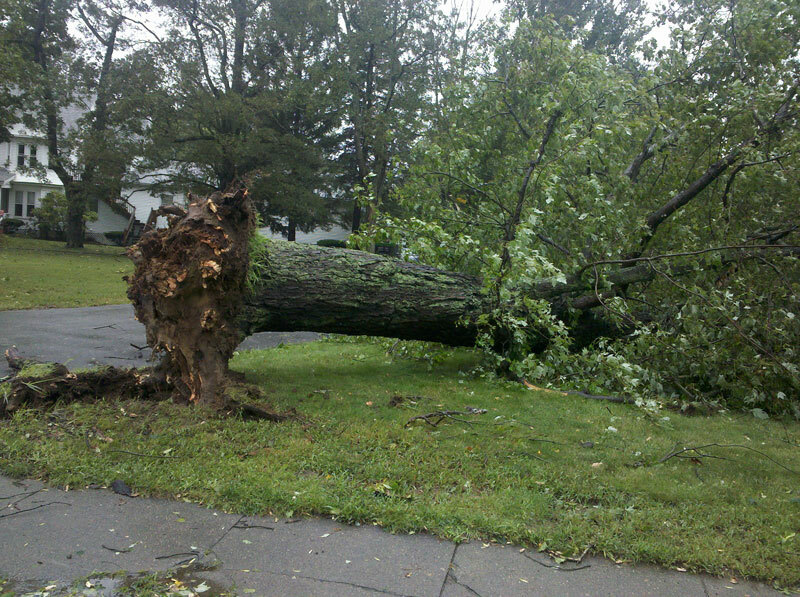 An uprooted trees in front of the Church of Christ Congregational UCC in Millis. As we continue to hear stories of the aftermath of Irene we can count ourselves as fortunate. Our conversations with our MACUCC churches tell us that the bulk of the impact is downed trees, power loss, wind, and flood damage. The impact has been significant here, but the stories and images from other UCC Conferences are even more compelling. [check out this story at ucc.org]. We are familiar with the long term recovery that follows disasters. We are still cleaning out from the Spring Floods of 2010. Tornado recovery is a daily reality for many of our churches and communities in western Massachusetts. Now, we've added to that the cleanup efforts following Hurricane Irene. We've alerted you to some of the immediate needs in Vermont (see below). And as the recovery unfolds, we'll let you know of any additional hands on assistance you can add. In the meantime, we encourage you and your church to consider a donation to our United Church of Christ Emergency USA Fund. As with all such gifts 100% of your donations are sent directly to the regions of most need. You have already covered the administrative expenses with your generosity to OCWM. If you want to be sure that the funds get to those impacted by Irene, write "Hurricane Relief" in the memo line of your check or the comment field when you donate online . You may also want to survey these MSNBC photos which tell the story of Hurricane Irene's impact far better than words. Let's continue to hold each other in prayer. If there are needs created by this hurricane or resources you may need in the recovery efforts, your MACUCC Disaster Resource Team may be able to help. Please contact us! Our brothers and sisters living in West Brattleboro have been devastated by Hurricane Irene, and are in need of our help with clean up. Anyone willing and able to help out this weekend, please email Rev. Joe Amico at joecd1@aol.com or call 603-283-0057. Wilmington and the surrounding areas were hit very hard by the storms. There are a number of apartments and businesses that could use help with clean-up. This will be dirty work, but residents here would be very grateful. Organizers are still waiting to hear confirmation from the National Guard that work crews could come up this weekend. If not this weekend, help will be needed next weekend. If interested, please contact Rev. Emily Heath, pastor of Wilmington and West Dover Congregational Churches at (802) 258-1143 or revheath@me.com.